Growing up, Murray Grapentine, a Wetaskiwin native, was an all round athlete and participated in the Wetaskiwin Minor Hockey program, the Wetaskiwin Minor Softball and Baseball programs, played Club Volleyball and school sports. He started playing volleyball when he was in Grade 8 at Queen Elizabeth Junior High and even though he was more than adequate in all sports it became evident that Murray could excel in volleyball and excel he did. Throughout high school, college and university, Murray’s volleyball teams won Provincial, Western Canadian and Canadian championships. 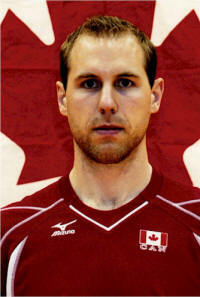 When he was still at University, Murray was selected to the Canadian Volleyball Team. He competed internationally for Canada for eleven years and captained Team Canada for the last four years of his career. 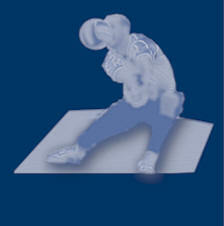 Murray played in three World Championships, two World Cups, and won a Bronze Medal at the 1999 Pan Am Games in Winnipeg. His incredible volleyball accomplishments and outstanding skill make Murray more than deserving of induction into the Wetaskiwin and County Sports Hall of Fame. When Murray was in grade 10 (1993) he was chosen to play for the Alberta Juvenile Volleyball Team and competed in the Western Canadian Championships. This set the stage for what was to become an outstanding volleyball career for Murray. He represented Alberta two more times as a junior player and in 1997 he was named an All Star at the Canadian Junior National Championships. After graduating from high school, Murray attended Red Deer College where he played for the King’s Volleyball Team for one season(1995-96). During his year in Red Deer, Murray was instrumental in the Kings winning both the Alberta College Provincial Championships and the Canadian Collegiate Athletic Association National Championships and Murray was selected the Most Improved Player on the team. The next year (1996-1997) Murray transferred to the University of Alberta where he immediately became one of the Golden Bear starters and star volleyball players. 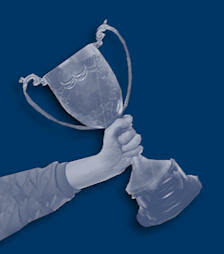 That year the Golden Bears won the Canada West Championships and the Canadian Championships. In the summer of 1997 Murray was chosen to represent Canada at the World University Games in Italy. It was also in 1997 that Murray was selected to the Canadian National “A” Volleyball team and for the remainder of his University career he played on both the National Team and the Golden Bears. In his second year with the Golden Bears (1997-98) the team again reached the National Finals where they won the Bronze Medal and Murray was named 1st Team All Canadian. Additionally, Murray was named MVP of the Golden Bear Volleyball Team and was awarded the Wilson Trophy emblematic of the Outstanding Male Athlete at the University of Alberta, both worthy accolades for his contributions to the team and University. Before starting his third year with the Golden Bears (1998-1999), Murray played with Team Canada in the World Championships in Japan (1998) where he was named 7th best blocker. In 1999 the Golden Bears once more travelled to the National Finals, were Bronze medalists, and again Murray was named 1st Team All Canadian. Besides that, he was the Golden Bear MVP, Canada West Player of the Year and the CIAU Player of the Year - more impressive accomplishments. 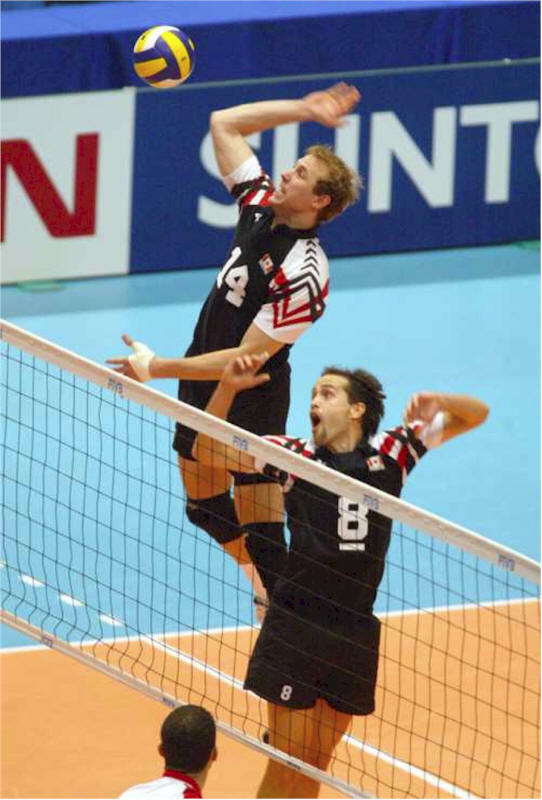 As part of the Canadian Team in 1999 Murray was the best blocker at the North, Central American & Caribbean Volleyball Confederation (NORCECA) Championships, was named 3rd best blocker at the World Cup, and at the Pan Am Games in Winnipeg the Canadian team won the Bronze Medal. 1999 was indeed a banner year for Murray! 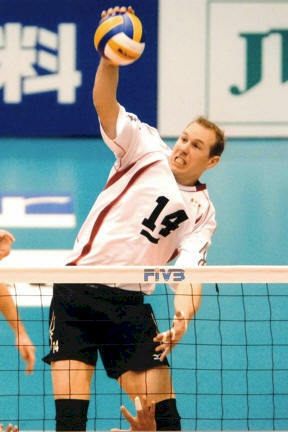 Best Blocker in the 2006 Pan-American Cup. Murray retired from competition in January 2008 and since 2008 he has been the assistant volleyball coach for the University of Regina Cougars. As a world class volleyball player, Murray has brought recognition to himself, his family, his community, his Province and his country. His successes could not have occurred without hard work, determination and dedication. Because of these attributes as well as his innate athletic abilities, his leadership qualities and his achievements and awards, Murray is indeed a role model for young Wetaskiwin and County athletes and we are honored to induct him into our Sports Hall of Fame. Read the opening comments made by Don McMillan when introducing Murray Grapentine.